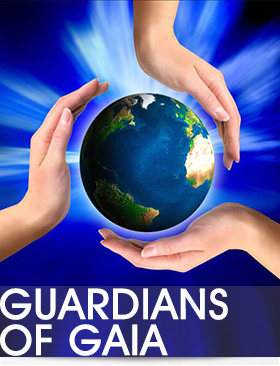 One of the most profound of all of the Seraphim Blueprint advanced workshops is GUARDIANS OF GAIA. In this workshop, there are new, deeper and more detailed Initiations to help Gaia and Humanity during the many transitions in the coming years. During this two-day workshop, all three parts will be taught. Seraphic Training Programs to enhance the ability to sense and differentiate between nuances of the Earth’s energy fields and Gaia’s soul. This includes energetic Seraphic Tours around the globe. Becoming a “Guardian of Gaia” and providing Healing and Balancing to her. The activatable Initiations of Part 2 are designed for Gaia’s benefit mostly. Some of the Energies enhance the new protective power grid around the planet, healing of trouble spots on Earth, restoration of the original strength of natural power places, plus many more. Accessing Gaia’s energies primarily for human benefit. Some of the energies help allow access to Gaia’s memory to gain knowledge, a recalibration of our cellular imprint to the planet’s energy field after relocation, remote testing of energetic compatibility for travel destinations, new homes etc., and more. Guardians of Gaia are often called upon to activate certain healing Energies during extreme weather scenarios or areas on the planets that are in need of special healing.